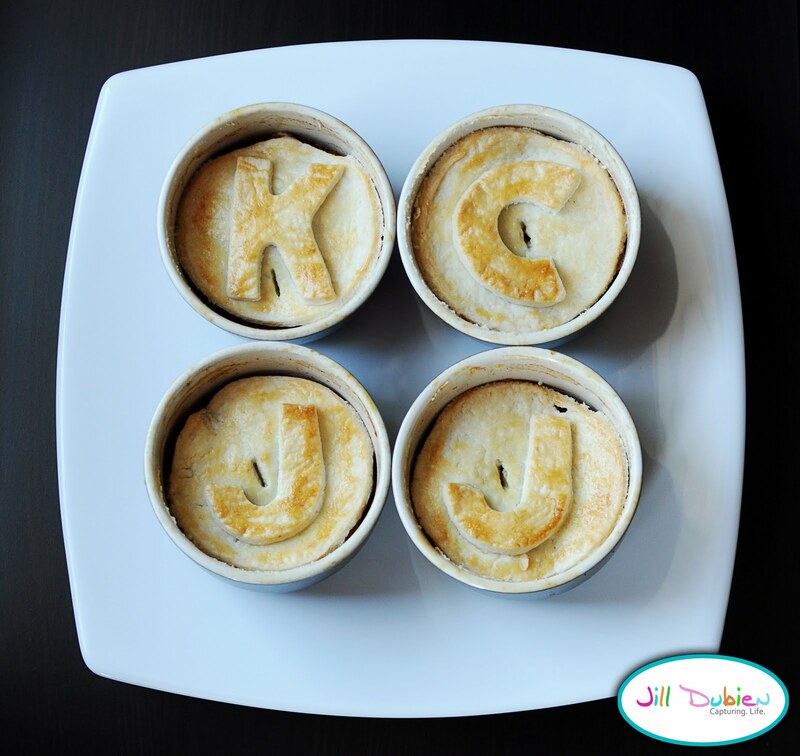 …but these pies had me at HELLO! 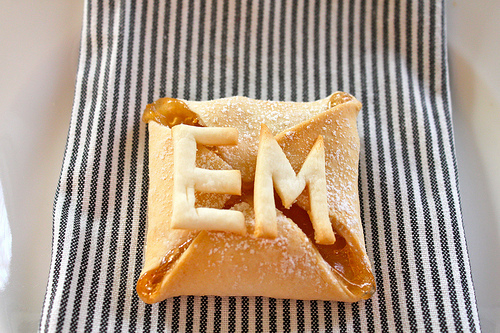 Seriously, could this be cuter (/more perfect for Thanksgiving week?!). 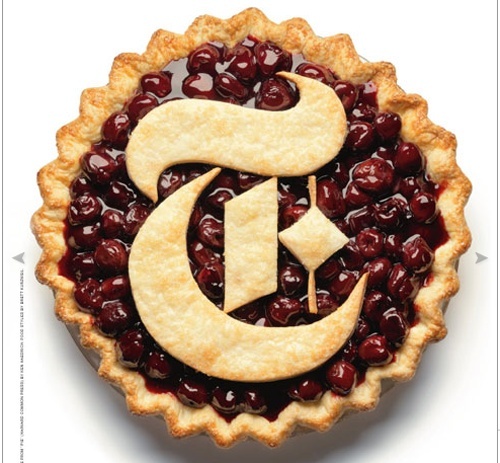 I know plenty of couples who aren't crazy about cake and have wanted to serve pie at their weddings instead. How I wish that I would've had this wonderful blog to get my ideas stirring back then! Whether you cut the letters out of extra crust ( or my boyfriends favorite- cut out of the baked crust and eat the scraps! ), this personal touch is memorable and is perfect for the holidays as well! 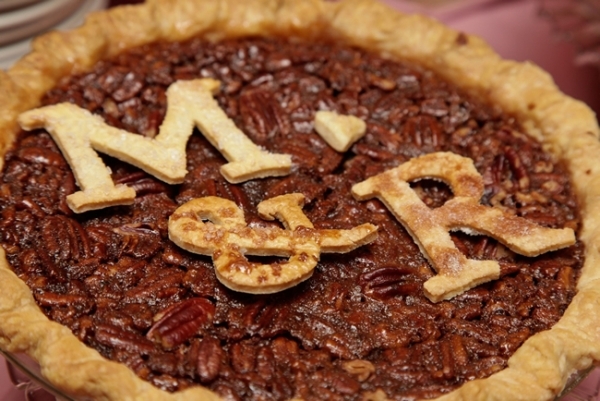 Nothing says Happy 1st married Thanksgiving like a monogrammed pie! 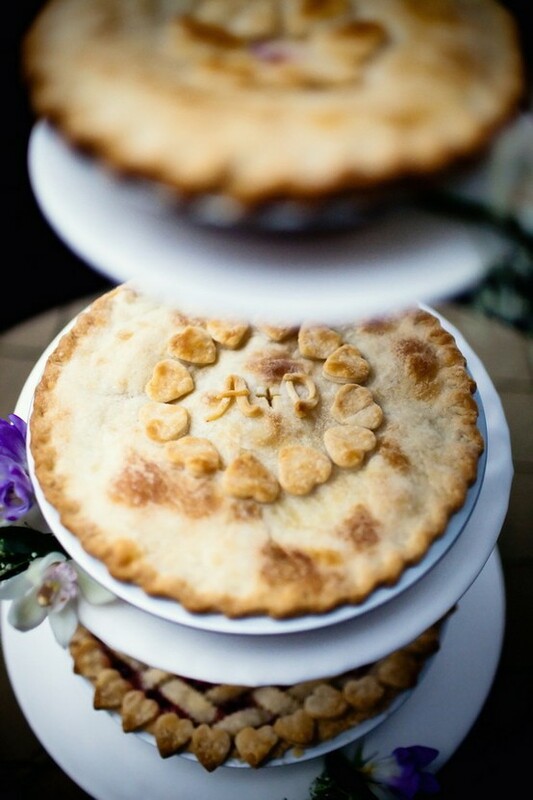 Love the pie idea but worried about the mess on your big day? Try these fun sized confections to get the best of both worlds! after all, it's best after a day or two!